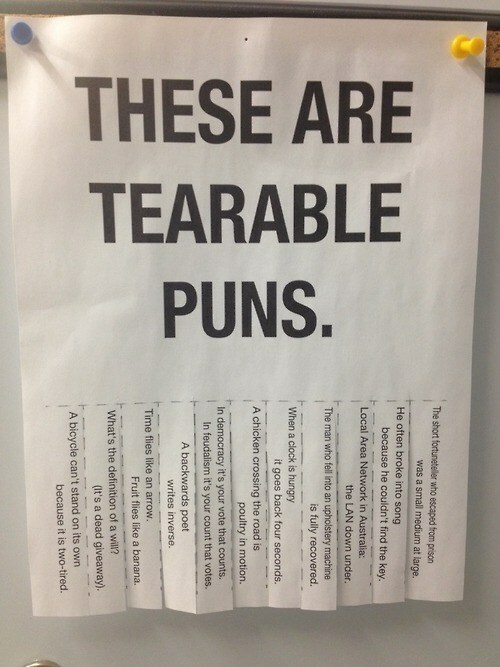 Just in case you needed some more puns in your life. A medal indeed. This triceratops is 7.6 meters or 25 feet long and heavy. The prank was pulled in the village of Godshill on the Isle of Wight in the U.K. The dinosaur model comes from Island Gems, a fossil shop, where it is affectionately known as Godshilla. Mr. Simpson noted that Godshilla will now be tied down to prevent any future escapes. Obvious Plant is at it again. This time he struck at a pet store. Check out more of his stuff at the link at the top. It’s worth the laugh. This is a building, people. 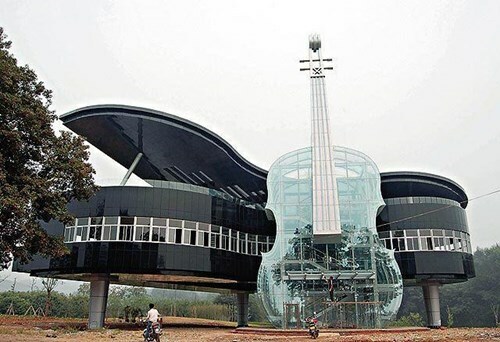 A music school. The short fortune teller who escaped from prison was a medium at large. In democracy, it’s your vote that counts. In feudalism it’s your count that votes. A bicycle can’t stand on it’s on; it’s two-tired.